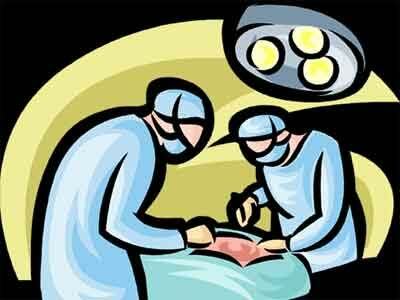 New Delhi : In a rare surgery, a team of doctors at a private hospital here successfully removed a kidney tumour weighing a staggering 7 kgs while saving the organ. The doctors who performed the six-hour-long surgery on a 35-year-old woman, salvaging 50 per cent of the unaffected kidney, said that from the sheer size of it, the tumour was “potentially life threatening”. “A tumour of this nature can be fatal due to the risk associated with sudden internal bleeding. In this case, the tumour weighed 7kgs and measured 40x25x20 cm in length, breadth and height. “There is no official medical record or report of such a giant tumour in which successful surgery was carried out by saving parts of un-involved kidney,” claimed Dr HS Bhatyal, advisor and senior consultant, Urology, Andrology and Renal Transplant at BLK Super Speciality Hospital. According to the doctors, the woman came to the hospital with complaints of unexpected abdominal swelling. She had been gaining weight for the last six months and looked like a pregnant woman carrying triplets. She had been advised removal of the right kidney. Doctors carried out a thorough pre-operative evaluation and planned a highly complicated surgery with extreme precision. “The tumour was a threat to life of the patient due to its sheer size and location. Even a trivial injury to abdomen might have led to heavy internal bleeding and possibly it could have been fatal for the patient,” Bhatyal said. Abdominal Ultrasound Sonography followed by CECT abdomen revealed the presence of a large tumour arising from the right kidney which is also known as Angiomyolipoma (AML). In addition to this, there were three more small tumours (AML) in the lower part of kidney. The surgery was performed on October 7. Imaging and a detailed study of the case was done which included angiography of abdomen. Upon complete evaluation, the team decided to perform a surgery known as partial nephrectomy. “It is a process where the malformation is removed and the uninvolved part of the kidney is saved,” the doctor said, adding that the other three small tumurs were also removed to prevent similar kind of growth in the salvaged part of kidney.